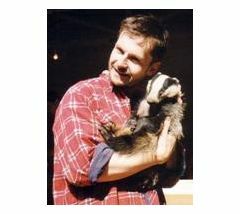 I joined the WildCRU as a graduate student in 1991 and have developed my academic career with the unit, now principally managing the Badger Project. I am at heart a natural historian, and take a ‘broad-view’ in my research. Much of modern biology is highly specialised, and forces a narrow focus, but I prefer the benefits of a polymathic approach, incorporating insights from population dynamics, animal behaviour, physiology (antioxidant ecology and endocrinology), evolutionary genetics, parasitology, and environmental interactions (climate niche, habitat management, geology etc). ‘Conservation’ is what we do with our knowledge, to mitigate human impacts; I am more focused on theory and paradigm, against a back-cloth of species-based research. For example I have recently investigated the effects of climate variability on badgers (UK), beavers (Norway) and on seed-dispersal endozoochory in subtropical frugivorous mesocarnivores (China). As a result, much of my work is collaborative, working with researchers in China, Japan, Norway, Bulgaria, Canada and elsewhere. Aside from fieldwork with the WildCRU’s Badger Project, based at Wytham Woods (where I acted as a site warden from 1992-2007), a substantial part of my time is spent writing and reviewing. I work with a number of students and co-authors to produce a variety of papers and book chapters, on a diversity of subjects – where I place as much emphasis on precise words as on precise statistics. I also am interested in teaching and engaging the general public in understanding nature; I was a Principal Investigator with the Earthwatch Institute from 2000-2014, running residential field-courses (with my colleague & partner Dr. Christina Buesching), currently in Canada. I also work with the Ley Community Drugs and Alcohol Rehabilitation Centre (Yarnton, Oxon), hosting volunteers from this programme who assist with Badger project fieldwork, and thus raising awareness about wildlife and the environment in a different sector of society. I also tutor an on-line Diploma module for Oxford’s Department of Continuing Education, ‘Field Techniques for Surveying Mammals and Reptiles’. I currently reside predominantly in Nova Scotia, Canada, where I have a developing interest in sustainable forest management and farming – spending my free time with chainsaws and tractors. I am also a keen carpenter and car mechanic.